For AND, the technology partnership of Awingu with (among others) Microsoft Azure, as well as our multi-tenancy capability, now provides their partners that previously shied away from the complexity and cost of current solutions available on the market the ability to provide a portion of their customers with a Unified Workspace solution. Awingu’s simple deployment and aggregation of Windows and SaaS applications, hypervisor independence, HTML5 clientless access, an integrated gateway including SSO, as well as integrated file sharing in the form of a single virtual appliance, rounded off by easy concurrent user licensing makes this a great match. ADN supports resellers with personal contacts, expert advice, and technical support before, during and after the implementation phase, and is now available from ADN. Every Tuesday in September, ADN will host the ‘New Digital Workplace Opportunities for Resellers’ webinar. In those webinars, ADN will introduce you to the 100% browser-based Awingu solution. With Awingu you can offer your customers a very clever answer to the digital workplace demand. The solution is not only suitable for enterprise customers but especially for the SMB market. In addition to innovative architecture and technology, ADN offers you an attractive partner program with low entry barriers and a high-margin product. Click here to read more, or to subscribe for the webinar. 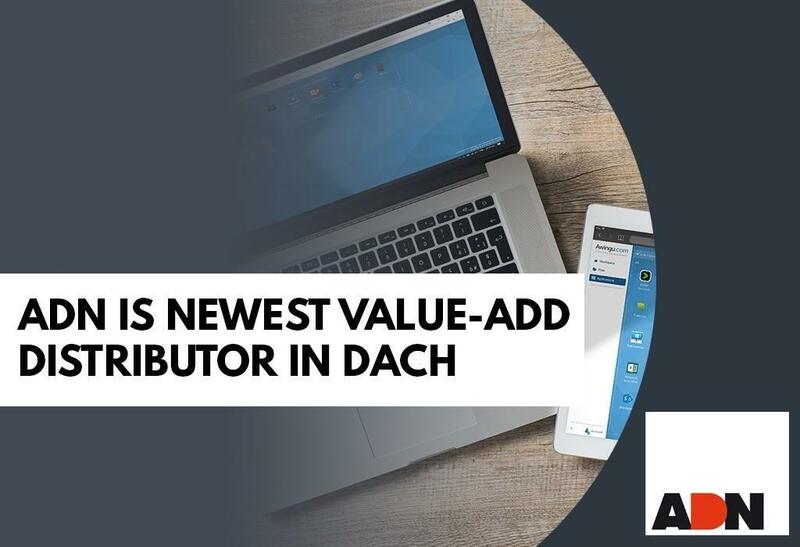 Bochum, 28.08.2018 – ADN – Advanced Digital Network Distribution GmbH and Awingu, provider of platform-independent solutions for the provision of Unified Workplaces, have signed a distribution agreement. The aim of the partnership between Awingu and the ADN Distribution Group is to further expand the distribution of browser-based cloud and on-premise solutions for the digital workplace in the DACH region, with a specific focus on Germany. Awingu enables the delivery of all heterogeneous enterprise resources such as Windows apps and desktops, as well as web, SaaS and files via HTML5 in a browser. The whole thing is rounded off with integrated VPN functionalities. ADN has more than 20 years of experience in the central resource provisioning market, including app, desktop, and data delivery. The experienced sales team as well as the trainers and consultants of the Value-Added Distributor are already Awingu certified and can directly support resellers in projects from now on. ADN and Awingu will offer interested partners several Kick Off webinars over the coming weeks to explore the browser-based solution for the Unified Workplace. ADN – Advanced Digital Network Distribution was founded in 1994 and specializes in the authorized distribution of consulting-intensive cloud services, technologies, and solutions. As a leading value-added distributor, we offer a broad, innovative solution and service portfolio in the areas of Cloud & Virtualization, Networking & Security, Storage Solutions and Unified Communications. As a service organization for retail partners, they offer the best consulting and support services in sales, marketing, training, technical support, and finance, so their trading partners can secure strategic market advantages. ADN’s more than 6,000 customers include global system houses and systems integrators, as well as cloud and managed service providers, software houses and value-added resellers. With their headquarters in Bochum and other locations in Germany, Austria, and Switzerland, they are at the same time regionally rooted as well as capable throughout Europe and worldwide. In 2017, the ADN Distribution Group with over 250 employees in Germany, Austria, and Switzerland generated sales of 412 million euros. The owner-managed group of companies is one of the fastest-growing value-added distributors in Europe.